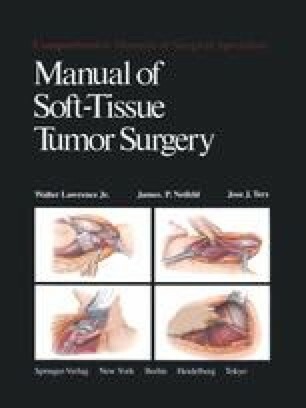 Soft-tissue sarcomas are uncommon cancers representing only 1% of all malignant neoplasms (excluding skin) in adults. The total number of soft-tissue sarcomas diagnosed each year in the United States is about 5000. In view of this, few surgeons have had enough experience with these lesions to appreciate the many variations in their clinical presentation or natural history. Also, owing to this limited incidence of sarcomas, few controlled clinical trials have been carried out to determine optimal treatment programs. Accordingly, many of the observations in this book will be based on our personal clinical experience, rather than thorough scientific study, but the available data will be reviewed.